I am not a TV soap kinda guy. Nothing against the soapies – they give work to lots of actors and entertainment to millions of people, and are mostly harmless. Give me Neighbours over the latest vile reality-TV blood sport any day. Anyway, not being a watcher of soaps, I had not heard of Michele Lee but she was seriously big. She appeared in all 14 seasons of Knots Landing, playing Karen Cooper Fairgate MacKenzie, a Texan society-matriarch with a string of husbands. Karen Cooper Fairgate MacKenzie not, from the look of things, having a great day. It is that for which Lee is chiefly remembered, but she did a lot of other stuff besides: as well as acting she was a singer, dancer, producer and director. One of her early successes was in the 1962 Broadway musical, Bravo Giovanni, about an Italian restaurateur facing bankruptcy because of a big “chain” eatery setting up next door. The production was primarily a vehicle for one of the star opera singers of the day, Cesare Siepi. Lots of booming baritone among the bocconcini and basil. Bravo Giovanni was a Broadway hit show in 1962. But for mine, Michele Lee’s lower-key take on the song “Steady, Steady” steals the show. Hints of Peggy Lee in the delivery – a strong, assured performance. Long before she became the First Lady of Knots Landing, Michele Lee had star quality. Just listen. It is 1957. You are sitting in a cinema in Melbourne, Australia, and it is Interval. Younger folk may never have experienced an “interval” in a cinema, but it used to be a thing, equivalent to half time at the football. As the house lights brighten and you rise, contemplating whether to buy an ice-cream, a fruity baritone voice floats over the PA. This announcement was a custom acetate recording, a 78-rpm metal disc covered in black lacquer. These were used to record radio advertisements, theatre announcements and the like. In this case, the management want the punters not to hang around too long in the foyer, ruining the cinema’s screening times. As you will have picked up, you were seeing The King and I, the 1956 film version of the Rogers and Hammerstein’s musical. This is a much-loved production, still being performed around the world. Personally, I’m not sure why it has such an exalted place in the canon, but millions disagree with me and it has some good moments. Maybe, in 1957, the magic would have been stronger, and I would have rushed the next day to buy this EP. I have chosen one of the less-famous numbers, a song of love and gentle melancholy. The singing credit is given to Deborah Kerr, but along with the other songs in the film it was actually sung by Marni Nixon. Now, grab your ice cream and get back to your seat. The movie is about to start! Musical theatre was once one of the glories of western popular music. The best of the Broadway shows created imagined worlds which were self-contained and enduring: the Austria of the Trapp family, the Imperial Court of Siam, the class-ridden London of Eliza Doolittle. The imagined worlds were sentimentalised, true, but fine artistic creations for all that. I have read many a scathing critique of Broadway musicals, and how they are patronising of other cultures, and how their romanticism masks an underlying patriarchal oppression. Guilty as charged. But the music was good and there were subversive moments, and these shows gave work to thousands of musicians and actors, and brought joy to millions of people. Musicals are still around, but they are no longer a powerful form of popular culture. And what has filled their place? So called “reality” TV. Survivor. The Biggest Loser. Lord preserve us, The Bachelor. Sexist, patriarchal, patronising? Give me Liesel dancing in the Rotunda any day. The thing about Broadway musicals: what mattered was the music. The tunes had to be catchy, the songs had to be singable. You wanted the audience to be humming on the way home. It is a measure of the quality of the music that even in 2016, so many of us know these hits of more than half-a-century ago, even if we have never seen a production of the musical itself. Which brings me to “Ol’ Man River”. I knew the song, and vaguely expected it to come from a musical, but had no idea which one. I knew that it touched on prickly issues, especially race. I also knew there was a Broadway musical called Show Boat, but had assumed it was flim-flam, paid it no attention. 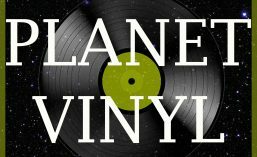 But on Planet Vinyl we don’t assume, we just listen. Paul Robeson was born in 1898, when slavery in the United States was living memory. His father, Reverend William Robeson, had been born into slavery but had escaped as a teenager. In the 1920s, when the Ku Klux Klan was a powerful force in many states, when the complex system of social, legal and economic oppression known as Jim Crow was at its peak, Paul Robeson was at college – one of a tiny number of black students. But he did not keep his head down, did not stay quiet: he was an athlete, a debater, an actor, a singer: handsome, articulate, intelligent, a beacon for his people. Show Boat, which premiered in 1927, was a brave musical, the work of Jerome Kern and Oscar Hammerstein, based on a brave novel of the same name, by Edna Ferber. The musical follows the lives of performers, stagehands and dockworkers on a Mississippi River show boat. It has a love story, as musicals must, but its themes include racial prejudice and miscegenation. And it gave a memorable song to a brave man. Show Boat appeared in 1928 in London, and in that production was Paul Robeson playing the (minor) part of Joe, a dock hand, who sings of his life and its misery and of the mighty Mississippi River, and the place in the whole scheme of things of race. Many other singers have tackled “Ol’ Man River”, and many have had greater vocal range and technical skill. But no one had made the song as real, such a full and convincing howl of protest, as Paul Robeson. This song is a wonder. Many of the records featured on this blog, and hundreds of others, are for sale via Discogs. Mention this code “MSD519” to receive a free 7” disc of your choice (up to the value of $5.00) with any purchase.